Dr. Lang has been a physician at Specialty Natural Medicine since 2014. She is a graduate of Bastyr University with a doctorate in Naturopathic Medicine. Her undergraduate degree is in Chemistry with a minor and strong interest in Psychology. During her undergraduate education she worked as a medical assistant in a conventional medical doctor’s office, then as a lab tech for a consumer lab at a supplement company. Dr. Lang was drawn to naturopathic medicine when she saw that more needed to be done for the patients she was working with as a medical assistant. There was a strong focus on medication management, but no talk of foundations of health such as proper diet and exercise, which are so important to overall health. Once Dr. Lang was exposed to Naturopathic medicine, she knew that that was where she was meant to be. She loves the philosophy of naturopathic medicine- treat the whole person, remove the obstacles to cure, believe in the body’s ability to heal itself, trust in the healing power of nature, and educate and empower your patients. Having more time to spend with patients to get to know them and what will work best for them was another big draw to naturopathic medicine. Dr. Lang’s focus is primary care, with an emphasis on digestive health, allergies, and endocrinology. During her education at Bastyr, she had a focus on endocrinology and IV therapy, taking extra shifts focused on diabetes and focusing her preceptorship hours at an IV clinic in Seattle. She has attended several post-graduate conferences focusing on pediatrics, primary care and female hormonal replacement therapy. 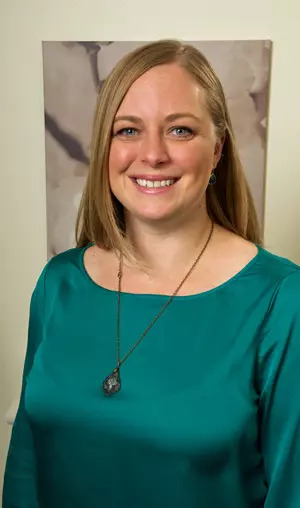 She enjoys mixing natural and conventional therapies along with lifestyle modifications to find the best treatment plan for each individual patient. In Washington state, NDs can prescribe most medications, giving them the option to utilize a wide range of therapeutic options for their patients. Dr. Lang has been a resident of Seattle, WA since 2010 and has no plans to leave this beautiful state. She grew up riding horses, competing in both dressage and jumpers. She has always loved animals and enjoys exploring the outdoors, especially the mountains, with her husband and rescue dog. Dr. Lang is a member of the American Association of Naturopathic Physicians (AANP) and the Washington Association of Naturopathic Physicians (WANP).